10.3 Megapixels for stunning prints as large as 16 x 20 inches. Sharp resolution to capture the finest details, crop creatively and produce incredible enlargements. Extraordinary 26x Optical Wide-Angle Zoom-NIKKOR ED Glass Lens offers quality optics that provides exceptional images. The NIKKOR ED lens is built on a proud heritage of producing precision camera optics that delivers superb colour and razor-sharp results. Unbeatable compositional freedom is available with its wide-angle (26mm) to super telephoto coverage (678mm). Sweeping landscapes can be captured as well as zoomed-in close-ups of the action taking place on the baseball or soccer field! New backside illumination CMOS sensor optimized with Nikon’s exclusive EXPEED image processing concept ensures natural-looking pictures of incredible quality and quick response so you won’t miss that special moment. 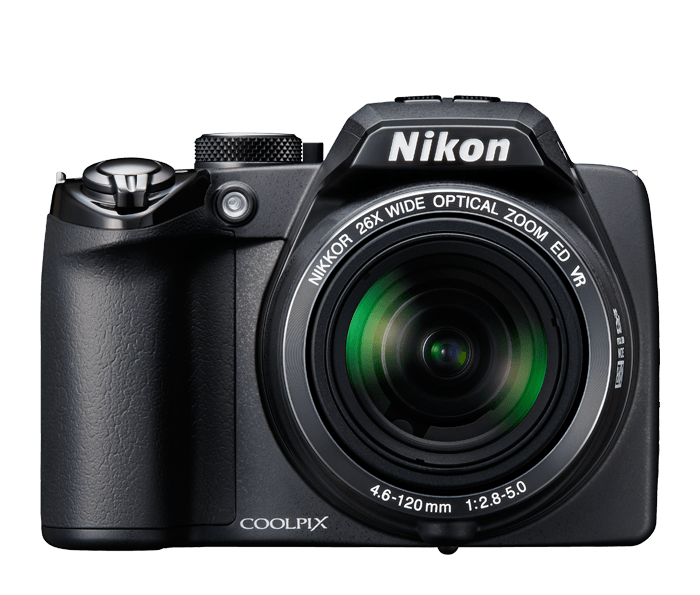 High-speed 10 fps enables high-speed continuous shooting for full 10MP images, ideal for sports and action. Sports Continuous shooting with pre-shooting cache option enables high-speed shooting at approximately 120 fps for images up to 1.1MP. Advanced Night Landscape mode combines a series of consecutive shots taken at a fast shutter speed into a single, clearer image when taking handheld shots at night. Backlit Scene HDR (High Dynamic Range) merges different exposures of the same scene to create an image with a range of tonal detail that could not be captured in a single photo. Incredible, Bright 3.0-inch vari-angle high resolution HVGA (460,000-dot) Clear Colour Display makes it easy to compose and share your images and movies with brightness adjustment and anti-glare coating. Optical VR Image Stabilization by sensor shift minimizes the effect of camera shake. Program, Aperture Priority, Shutter Priority, and Manual Exposure modes gives ultimate control over your pictures. Smile Timer and Blink Proof makes sure you’ll always catch the decisive moment when your subject smiles and Blink Proof function shoots fives pictures and automatically saves the one in which the subject’s eyes remain open. Active D-Lighting adjusts highlights, shadows and contrast while shooting. 17 Scene Modes for optimized shooting in various settings.